Simply put, the New Forest is just made for family holidays. A national park of over 140,000 acres, its miles of safe off-road tracks and a huge range of activities both on and off the water make it one for all ages. Boat trips, afternoons crabbing on the sea wall, and beach games; stand-up paddle boarding, kayaking and kid-friendly museums – it’s so much more than just a forest. We bring you our favourite things to do. Bear with us on this. We know the word museum doesn’t always spark excitement, but it will when you precede it with the words ‘Sammy Miller Motorcycle’. Zoom off to this fab museum with over 380 bikes, some still earning their keep at classic bike events. If you’ve got real petrolhead kids, whizz over to Beaulieu in Brockenhurst where you can hop aboard the monorail Skytrain and see the shiny F1 cars and land speed record breakers of the National Motor Museum. Take the World of Top Gear Test Track Challenge and race around the test track in a Bugatti Veyron – it might be in the simulator but it’s as real as they’ll get for a good few years! Kids still enjoying trying to kill each other even on holiday? Tick. Love paintball but not the pain and bruises? Tick. So why not let them battle it out tactically with some digital combat at Battlefield LIVE? Described as a cross between grown-up laser tag and pain-free paintball, you won’t need to be on hand with an ice-pack at this one. Or get them to channel their inner Tarzan and swing through the trees on the Ropes Course – both high and low options are available depending on how brave you’re feeling. If that’s not enough to keep them busy, the Leap of Faith will keep them quiet and begging for a peaceful day moseying through the villages. Result. Who doesn’t like messing about on the water on their hols? Whatever the time of year, hire a kayak or paddleboard at the New Forest Paddle Sport Company and explore the coast from both river and sea. Take a taster lesson if this is all new to you or book the whole family on the SUP Castle Experience. Taking older children and teens of all abilities across the water to Hurst Castle for lunch and then returning by boat through the beautiful salt marshes, there’ll be no complaints with this one. 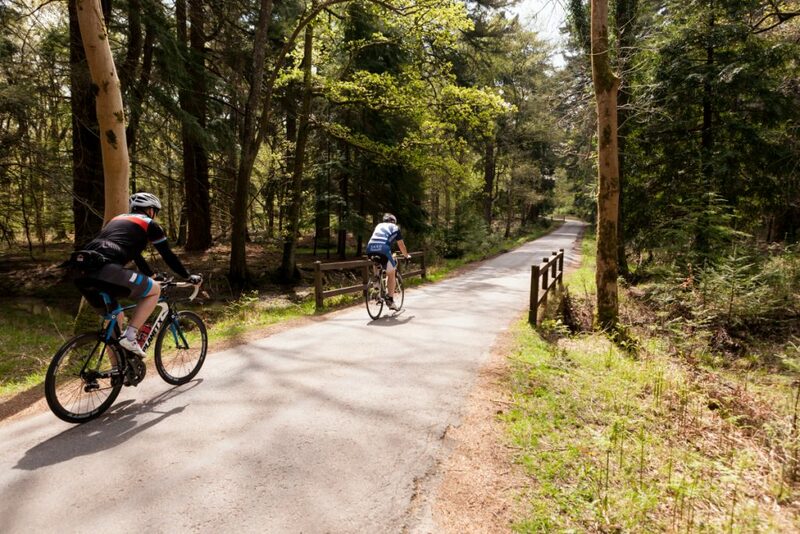 If seeing all those bikes at Sammy Miller has got the kids excited, do what the New Forest is famous for and see the sights – just on a different type of bike! Imagine whizzing through miles of trails and over rushing rivers, spotting the famous native ponies grazing as you go. 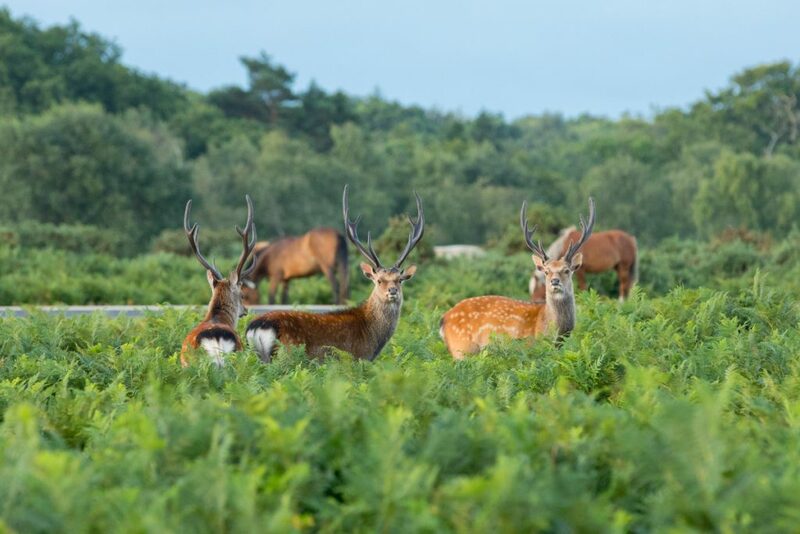 If this sight brings out your animal instincts, hop over to the Bolderwood Deer Sanctuary right in the heart of the forest and witness herds of fallow deer grazing leisurely in the meadow. You can even watch from the viewing platform as they’re fed by the local New Forest keeper between April and September. Head to the large grassy lawn for a yummy picnic or game of footie or rounders afterwards. Rustle up a team of amateur sleuths and head for the adventure rooms at Exciting Escapes in Southampton. A real-life version of the online Room Escape game, you’ll be on a 60-minute countdown as you take on various missions for British Intelligence. Fun and challenging, this is great for all the family to get together and bond, especially on rainy days when the kids are looking for something fun to do. 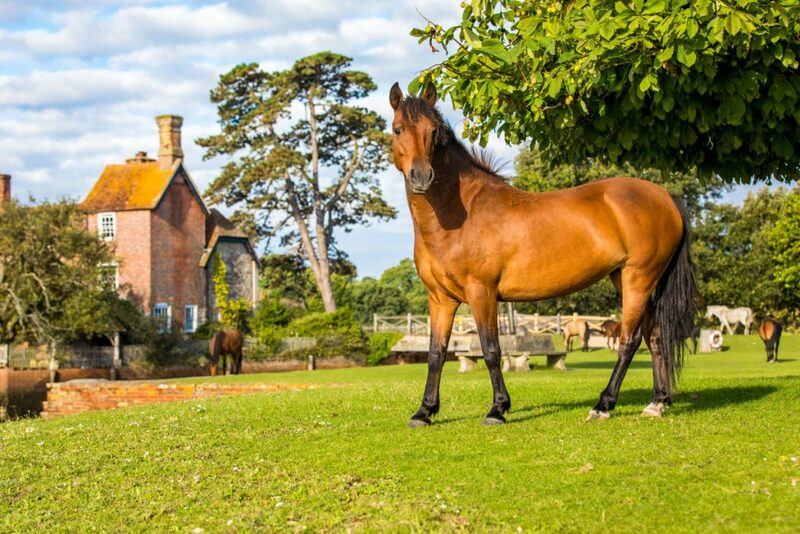 Come and stay in the New Forest! Bring your brood to the family-friendly selection of New Forest cottages from New Forest Living, where packed days out are rewarded by truly comfortable spaces to rest your heads. Come and stay in a cosy cabin surrounded by alpacas, a retreat deep in the forest or a stylish coastal property just minutes from the beach, where you can grab a towel, throw on your flip flops and head down to the sands. What’s not to love?